Sommeliers In Your Pockets (SIYPS) was born with the aim of sourcing great wines for everyone, irrespective of price. A team of sommeliers with a shared vision and passion, “less is more”. Less chemicals, more authenticity. All our producers share this ethos with us. Half of them are certified either Organic or Biodynamic, while the other half craft their wines and reduce the amount of chemicals they use each year. 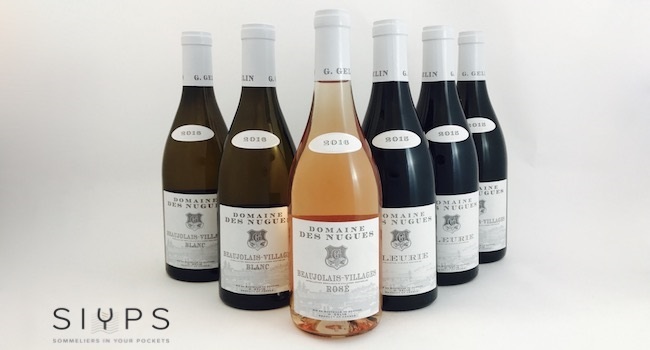 To celebrate Beaujolais Week, TheTaste and SIYPS are giving you the chance to purchase a hamper of wine chosen by expert sommeliers from Sommeliers In Your Pockets. This hamper contains 6 bottles of wine and is only €109. – 1 bottle of Beaujolais-Villages Red from Domaine des Nugues.